Three popular courses offering in depth training on the coverage issues that exist when the insured is a condo unit owner, or association. 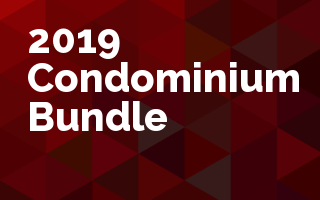 This bundle includes 3 must see condo classes and two e-books. Each class is one hour and you can view or listen to it at your convenience. Each on-demand class is available to stream, or download to your device. Beyond that, we wanted you to have these two free e-books. Download them to your phone and keep them with you all the time. 2nd Free e-book included: Glossary of Insurance Terms – Even the most seasoned among us have to look up words here and there. We want you to have this e-book in a format that makes it easy for you to use. You can keep it on your phone so that when your customer asks you about a word, you can quickly look it up and they’ll know that you know your stuff.